If your PC’s security solution is expiring soon, or if you are looking to try a premium antivirus, you have come to the right place. 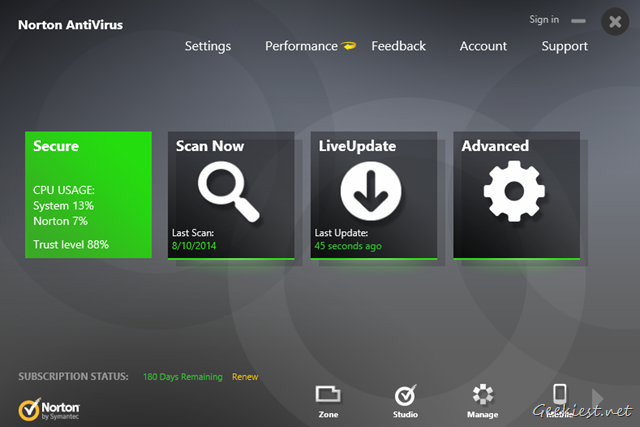 Symantec are offering a six month trial for their security product, Norton Antivirus 2014, for Free. Visit the promo page at SharewareonSale, and login to your account. If you don’t have one, sign up for a free account. You will be taken to a page, which has a download link for Norton Antivirus 2014. You do not need any license code, or serial number or a coupon to start using it. Just install the Antivirus and get a 180 days trial version. No strings attached. 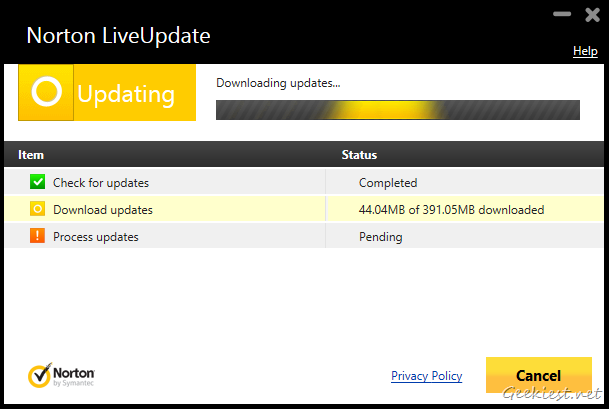 The file is nearly 230 MB in size, and you will have to update it for optimum protection, which weighs a further 392 MB. The good news however is that you do not have to restart your PC to start using it. I have been using it for a few hours, just to make sure there are no hiccups, and I am glad to report that there aren’t any. The promo expires in about 20 hours, so make sure you grab the installer before that. You may be able to install it on a later date.